"All of the vacuums listed in our guide have received the grade of excellent as a dog hair vacuum from Consumer Reports magazine. Since they've all passed the test for picking up dog hair, start to narrow down your choices based on performance on other surfaces, features, brand preferences and price." 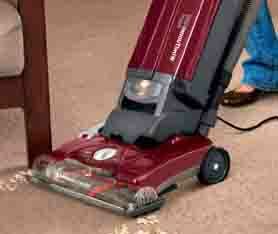 Dog hair can put excessive wear and tear on a vacuum. When possible, try and limit the amount of pet hair in the home by placing blankets on furniture and by frequently brushing and combing your dog, particularly during shedding season. One tip listed by the American Kennel Club is to sprinkle baking soda on couches where dog's lay down. The baking soda will make it easier to vacuum the dog hair when using a crevice or brush tool. To learn more about different models we looked at and view our top choices in each category, click on the links below. We've picked our favorites from each category and included on this page. Our top canister dog hair vacuum pick is the Kenmore Progressive (model 21614). The Kenmore is not only an excellent pet hair vacuum, but it gets high marks for carpet and bare floors. The vacuum has a HEPA filter and was referred to in a leading consumer magazine as being "superb" for picking up dog hair. It has no negatives and is packed with features such as pile-height adjustment, a drape cleaning tool and a rotating brush that can be turned on and off. 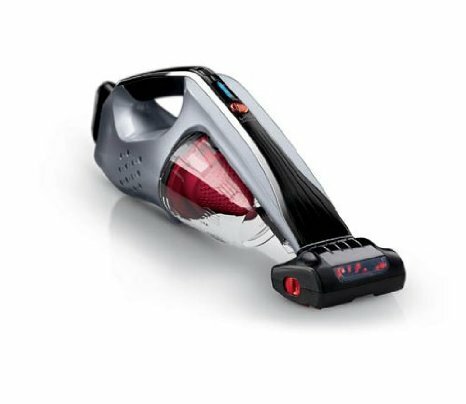 According to Consumer Reports "the Kenmore 216114 canister vacuum includes the motorized Pet PowerMate for a more powerful tool for removing pet hair from floors and furniture." 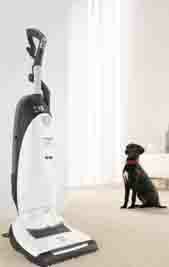 Our bagless best vacuum for dog hair is also a Kenmore canister model (22614). The vacuum has all of the popular features found in canister vacs while providing excellent dog hair pickup. It is very good on carpet and rates an excellent for bare floors. According to Consumer Reports "the pet hair test reveals no traces of pet hair left behind and very little pet hair caught in the brush roll." We have two top upright picks to add to our list as the best vacuum for dog hair. The reason is the our top pick, the Miele S7210 twist is twice the cost of the Hoover WindTunnel Max (UH30600). While the Miele offers more high end features, both vacuums get excellent ratings as a dog hair vacuum. The Miele Twist is an impressive vacuum that is among the best dog hair vacuums Consumer Reports tested. It also receives excellent ratings for cleaning carpet. It earns its reputation as the "Miele Dog Cat Vacuum"
The Hoover WindTunnel Max is available for under $200 and also rated excellent for dog hair pickup. There was only one hand held vacuum that receives excellent ratings for pet hair, making our choice of best vacuum for dog hair easy. We recommend the Hoover Platinum LiNX. It gets high marks from consumers and is a good choice for anyone with a dog. It may be small, but it earned its place as a best vacuum for dog hair. 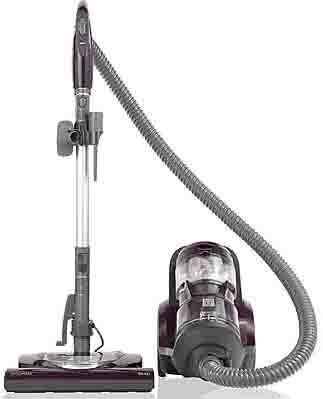 Like its hand held cousin, we also give high marks to the Hoover Platinum LiNX (BH50010) stick vacuum. It made our best vacuum for dog hair due to its excellent performance, not to mention a very good performance on carpets and excellent performance on wood floors. 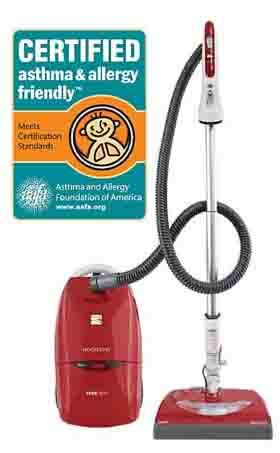 Consumer Reports calls this vacuum "impressive at carpet-surface and bare floor cleaning." A close second is the Shark Bagless Navigator Freestyle (SV1106), particularly if you frequently vacuum carpets (Consumers rated it best stick vacuum for carpets). A dog grooming vacuum uses an attachment to a regular vacuum that is designed to remove shedding hair from pets before it hits the floor. Some models come with a universal adapter for all major vacuum models such as the Bissell ShedAway or Yowza! Others are made for a specific brand such as the Dyson Groom. Both the Bissell options and the Dyson receive excellent consumer reviews. The Bissell Yowza! is a dog grooming vacuum attachment that connects to most major brands. It gets high marks from customers and is designed to work with thick coated, short and medium hair dogs. Have A Dog Vacuum Suggestion for Our Readers? Do you have a Dog Vacuum Review, Question for our Editors or a Helpful Story to Share? Please include information such as brand of vacuum and dog breed. Bought Dirt Devil and Wouldn't Again.